What were you doing on that fateful day of September 11, 2001? I know, even though I live in far away India, I can recall every single thing that happened around me when I heard the news of the terrible attack on America. I can feel the shock and horror right to this day. Truly, the world has never been the same since that day. Imagine, if on the morning of 9/11, your 11-year-old daughter excitedly boards a plane for a National Geographic field trip to the Channel Islands National Marine Sanctuary in Santa Barbara, California. You’re a little worried, but mostly proud of your little girl being chosen to participate in one of America’s premier undersea projects – the Sustainable Seas Expedition. Then you hear the shocking news of the Twin Towers coming down, planes being hijacked – and you begin to wonder where your little girl’s plane might be. Hours later you realize that the plane she was on was crashed into the Pentagon. How does one prepare oneself to hear the news that hijackers took over your daughter’s plane and smashed it into a building? In America, no one is taught how to deal with that type of horror. There are no textbooks or classes. When it happens you have to start the healing process the best way you know how. 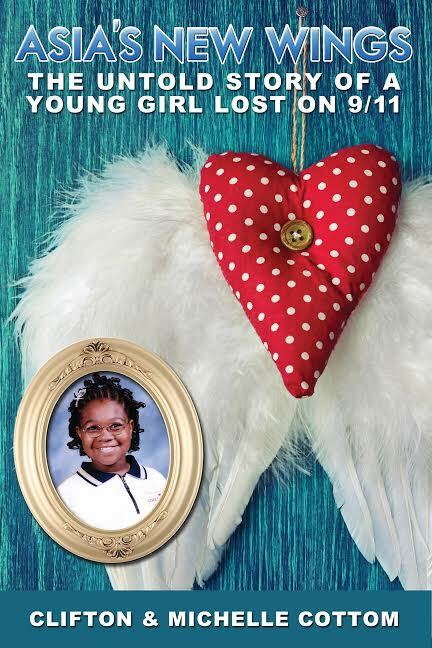 This is a story of a little girl whose life was so tragically cut short. It is a story of how Asia’s parents, brother and extended family fought their way out of their terrible grief. It is a story of how one can rise from grief that threatens to consume you. It is a story of a family who chose to channelize their grief and honor their loved one’s memory through community service and setting up a scholarship fun. It is a story of love and deep faith in God’s ways that our truly so different from our own. This might be a difficult book for many of us to read. But I would recommend it to you. Even though it moved me to tears ever so often,it was one of the most uplifting books I’ve read in recent times. Asia Cottom lived eleven short years on this earth. Her tragic death on Flight #77 on 9/11 is forever etched in the hearts of the countless people who loved her. But her wise and influential life, her positive attitude, and profound faith in God are her true legacy. You may love God with all your heart and soul, yet not understand what He is doing. In Asia’s New Wings, Clifton and Dr. Michelle Cottom, along with family and friends, walk beside you, sharing their thoughts and offering compassion to help you come to a place of acceptance, when trying to make sense of suffering great loss. The people in this book have learned to come to terms with what God allows, and are now in a place where they can help heal others. If you have gone—or are going through—the “valley of despair,” you will find comfort and empathy from those who care. You will also find hope and the strength to move forward as you rediscover your life. What Asia’s parents and all those who loved her went through, healed from, and learned will bring comfort and relief to those who travel down the road of loss. Reading and experiencing Asia’s story will truly bring healing and life to all who turn these pages. Clifton and Michelle Cottom live in Prince George’s County, Maryland and they have one son, Isiah. 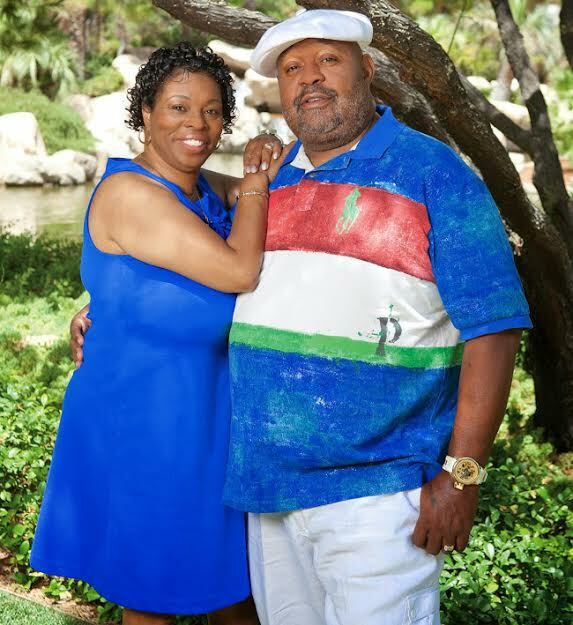 The Cottoms are the co-founders and executive board members of the Asia SiVon Cottom (ASC) Memorial Scholarship Fund. You can connect with the Cottoms on their website, on Facebook and Twitter. Win 1 of 15 print copies of Asia’s New Wings (open for USA & Canada). Please note that this Rafflecopter and Giveaway is hosted by iRead Book Tours and is being hosted across several blogs. They are overseeing the drawing and assume full responsibility for all aspects of this contest, including notification and prize fulfillment. Disclosure: I received a copy of this book from iRead Book Tours to review. However, the opinions expressed in this review are entirely my own. Add your links for Day 9 of the September Blogging Challenge here. Remember, we have the weekend off to catch up on everyone’s posts. See you back for the challenge on Monday. Hi Corrinne – landed here from the MidLife Luv Linky party. Words fail me as I contemplate your post about Asia. She, and every other person who died as a result of 9 11, were just pawns in a despicable game of power and corruption. May they all rest in peace. It is still so hard to believe, isn’t it, Gilly? I can’t imagine how families have managed to cope with the senselessness of it all. That would have been devastating for the parents. So many innocent lives lost every day due to terrorism…and for what purpose? Sigh. Yes, how do people justify killing innocents. This sounds like such an interesting book. It is so sad to remember that the lives lost during the 9/11 attacks were those of real people who had families. Thanks for bringing awareness to this. Yes, when we hear the stories, it makes it so much more real. To think it could be any one of us. I love this thought provoking review. So inspirational. I shiver to think about it even today. What a big tragedy! Reading this book would be so difficult. But writing it must be such an overwhelming experience for the Cottoms. Thanks for sharing about this book, will check it out! I hate to say it and open old wounds and prejudices but I still remember seeing people celebrate when it happened. I wish I could say it was terrorists on some news channel but it was actually students from medical colleges… educated men. I don’t know what they were thinking or what they thought they were celebrating… I just know coming back to my room and telling my roommates how disgusted I was by the behaviour of these people. How difficult is it to understand that innocents died that day… that none of the people in those planes or in that building had anything to do with any perceived wrongs done elsewhere? And how much longer will we keep watching this cycle play out – innocents killed for the crimes of the wicked? It was a horrific day not only for America but for the entire world. Oh, the pain and sorrow this family must have suffered! Thank you, Corinne, for sharing this with us today. Their faith shines through, Martha. Thank you. I hadn’t thought about there being children on those planes – it was such a tragedy and this makes it even more so. The strength and courage of her family is amazing! Neither had I, Leanne. Somehow, it makes it so much more tragic, doesn’t it? Very tragic and its very difficult to deal with that kind of situation. I still remember that day, everyone was glued to television sets from night. Yes, Mahathi. Which is why it makes the story even more remarkable. I grew up in NYC. 13 people who went to my high school (none in my class) died on 9/11 – two of them left pregnant wives. My cousin’s husband lost his next door neighbor and his best friend. One of my co workers, up here 150 miles away, lost his son (his daughter in law was one of the pregnant women featured in People Magazine). It would have been my father in law’s 75th birthday if he had been alive. So, even 14 years later, this day means a lot to me, and I would be interested in the book for that simple reason. Traumatic events that are now etched in our memories for all the wrong reasons:-( The book must be a difficult one to read for many but the message from the parents of going through despair and beyond to find peace and light is enough reason to read it. Thanks for sharing, Corinne! The parents faith shines through it all, Esha, giving hope to others as well. I’m about in tears just from reading the review! I can remember that day like it was yesterday. We were living in a motel at the time because a Texas storm had sent a tree through the roof of our house over the kitchen. We were watching the developing story on the news channel. As both towers of the WTC were smoking, my husband said, “They’re going to come down.” I disagreed with him, vocally. Even with such injuries, surely the tons of steel would hold. About 30 seconds later, the buildings shuddered and went down. We stood there in horror. I’d like to say I hugged my young sons to me, but I seriously can’t remember if they were there or in their Head Start program. My mind is leaning towards them being there and seeing it. They probably couldn’t wrap their little minds around it. One of the scariest tragedies of our times. I remember that day very well. *Shudder*! All the best to the giveaway participants. What happened that day was horrible..It should never have happened and no one should have passed away, untimely, like that..It was horrible, horrible.. I remember going to school wondering why any of it was happening..